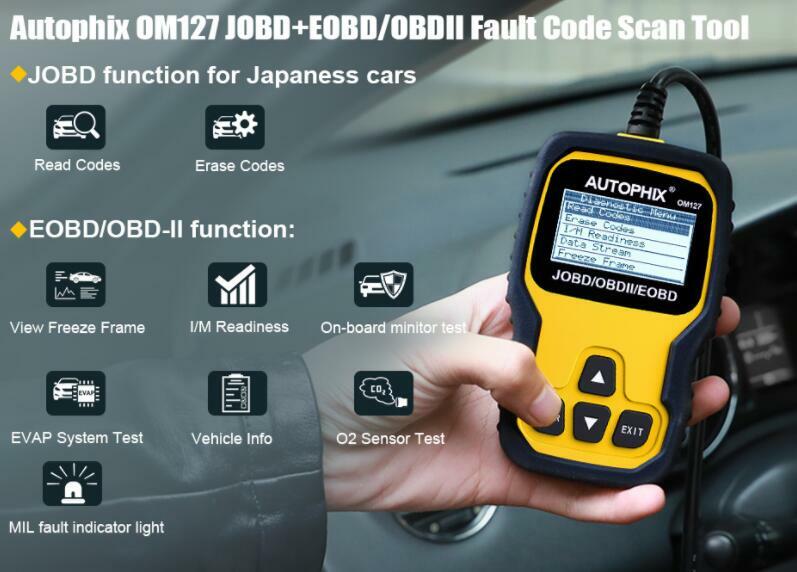 Autophix OM127 is compatible with Japan car. OM 127 Code Reader is designed to work on all JOBD/OBDII/EOBD Compliant vehicles. OM127 Auto Scanner can do car protocols including the can, J1850 PWM, J1850 VPM, ISO9141 and KWP2000 Protocols. With Good Performance. 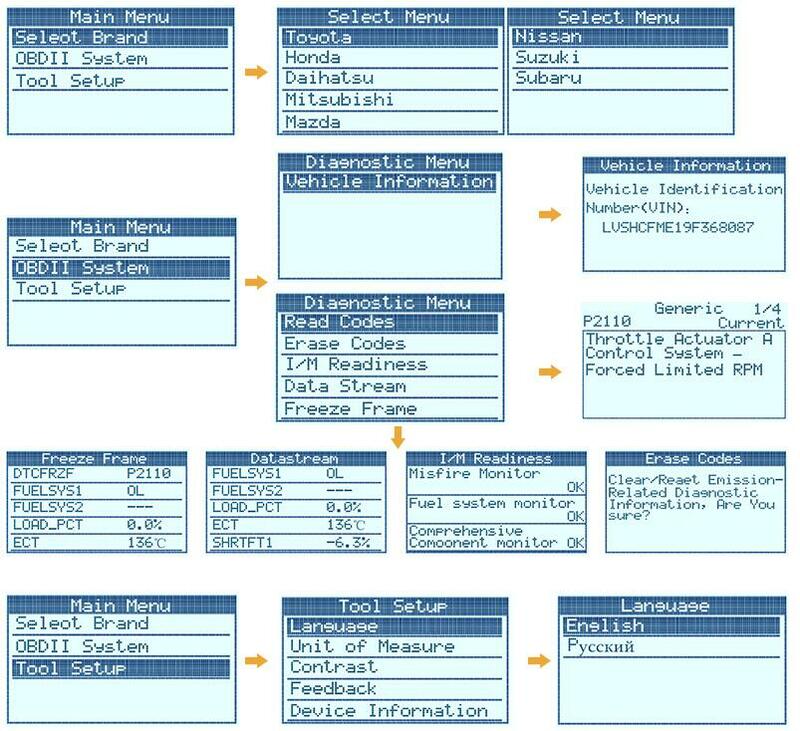 Autophix OM127 is a handy code reader for multi-brand vehicles. it is very compatible with Japanese cars. 3.Fast tests Japanese vehicles (16PIN): For TOY_OTA HON_DADAI_HATSU MIT_SUBISHI MAZ_DANIS_SAN SU_ZUKISU_BARU. Reads & clears trouble codes : generic codes, pending codes, manufacturer’s specific codes.